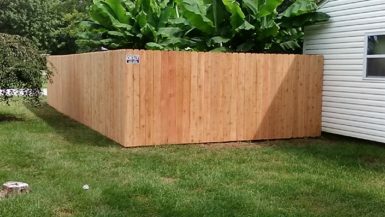 Are you looking to have a wood fence installed in your Edwardsville, Illinois yard? 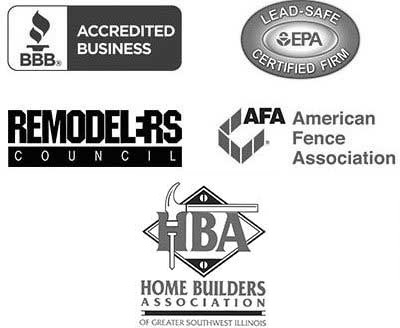 If so, choose the company that has installed more fencing than any other in the region – Chesley Fence & Deck. Homeowners have trusted us most over the years because we always offer the finest products and provide the first-rate home improvement experience they deserve. So whether you are looking to build a fence to keep your loved ones safe in the yard or increase the privacy of your backyard, Chesley Fence & Deck is here to help. And when you choose to have a wood fence installed in your yard by Chesley Fence & Deck, you can trust that it will be installed by our own technicians, not subcontractors. Our technicians are trained to maintain our high professional standards in both their work and conduct and always install our fencing according to manufacturer specifications and using the industry’s best practices. They can even install your fencing in any configuration you desire to meet your specific needs. If you would like to learn more about having a wood fence installed in your Edwardsville, IL yard, contact Chesley Fence & deck today.